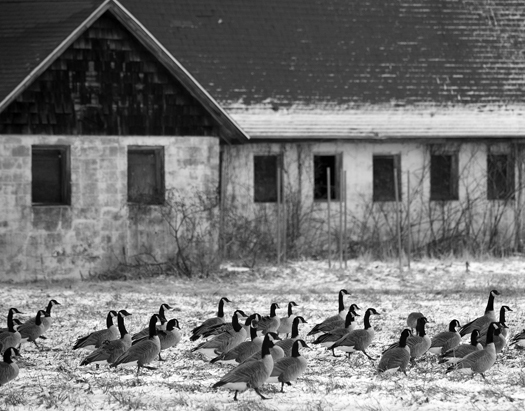 Canada Geese working a snowy field at an abandoned barn in Lewes, DE. 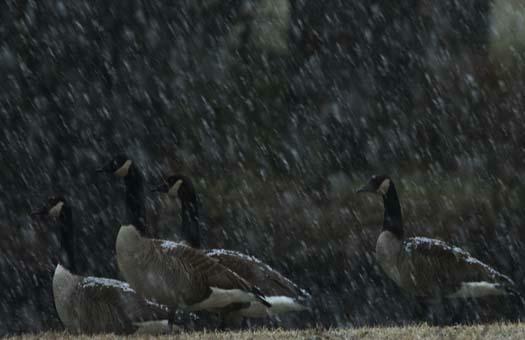 We had our first snow of the season today and I went out to see what I could find before sunset. 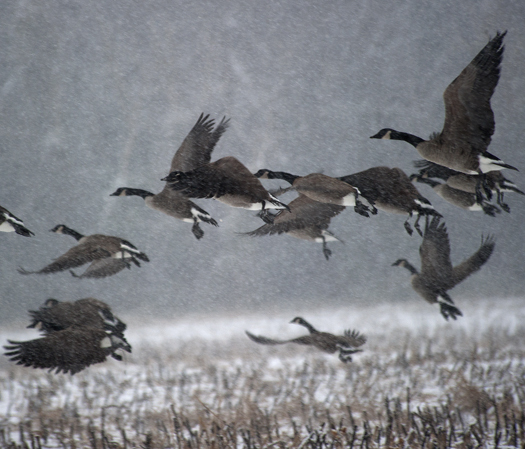 Canada Geese, in a corn field, in the snow, priceless. 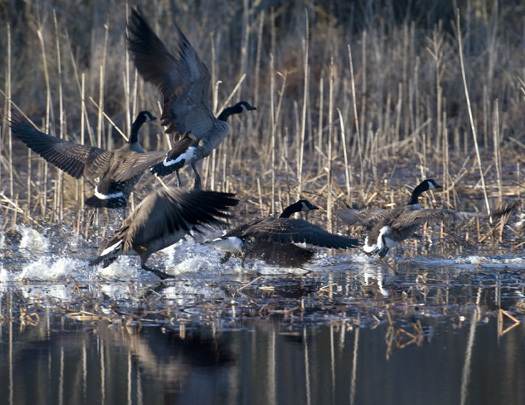 I found a small flock of Canada Gees this morning on a mirror-like pond in Primehook National Wildlife Refuge. 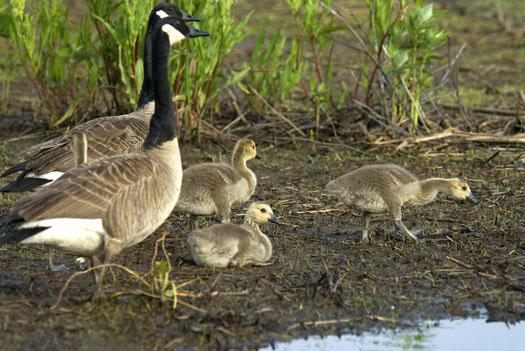 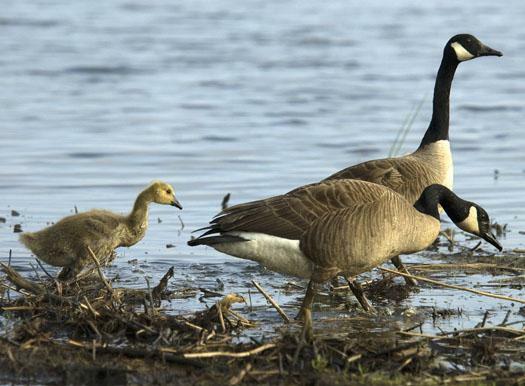 The Canada Goose breeding population in Delaware is increasing each year. 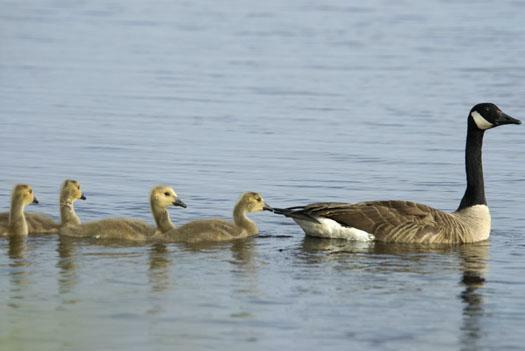 Here a family spends the late afternoon in their marsh.